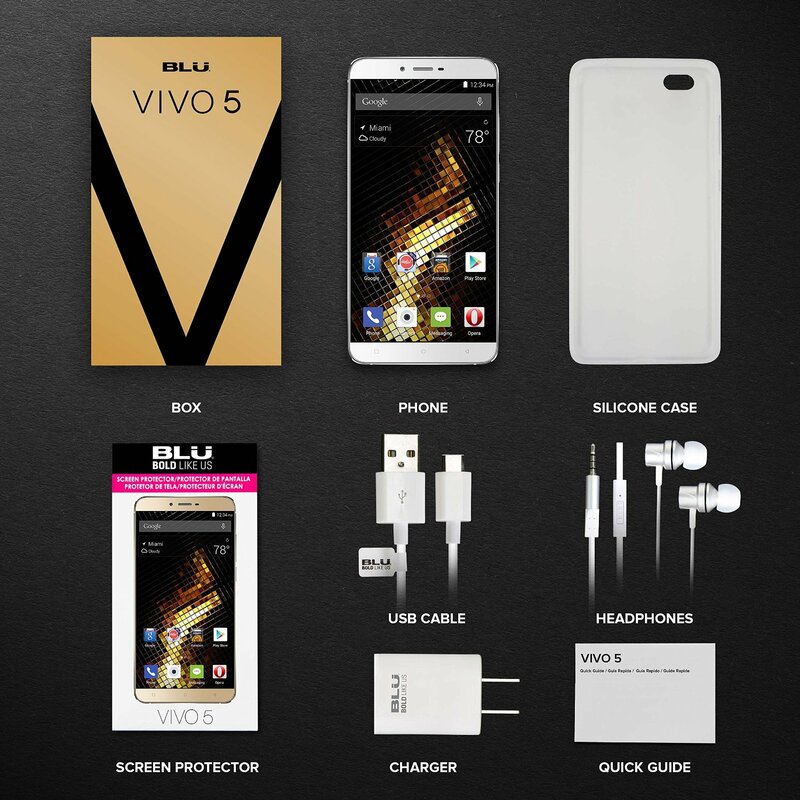 Presenting BLU VIVO 5 is the Fifth generation device in the Vivo Series available in white-silver and solid Gold. Beautifully engineered full body metal design, 5.5-inch display, bright HD AMOLED Color, Corning Gorilla glass 3. 32 GB Internal memory 3 GB RAM and Micro SD up to 64 GB. 13 MP Main Camera with LED flash and 5 MP Selfie Camera with Wide Angle and PDAF technology and Blue lens. 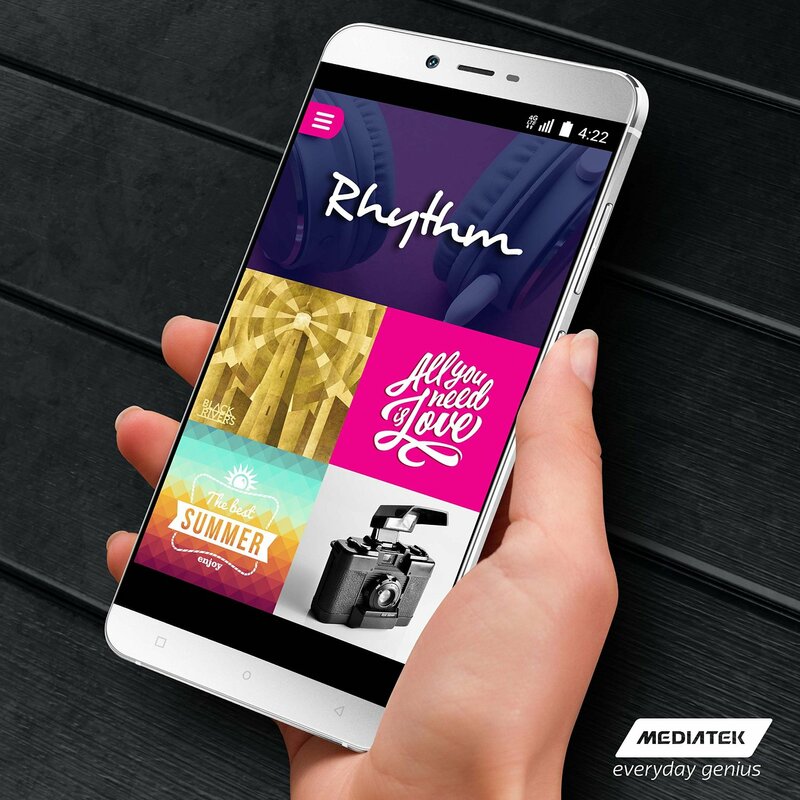 MediaTek 6753 64-Bit 1.3 GHz Octa Core Processor with MALI-T720 GPU. 4G LTE, (2/4/7), 4G HSPA + (850/1700/1900/2100). GSM Quad-band: US compatibility Nationwide on all GSM Networks including AT&T, T-Mobile, Cricket, MetroPCS, Straight Talk, Pure Talk USA, and others. Please refer the User manual before use. Need For Speed 4G LTE: Stay connected with speeds of up to 10x faster than 3G. No matter where you are in the country you won’t find a nook or cranny that you will not be able to access the internet. 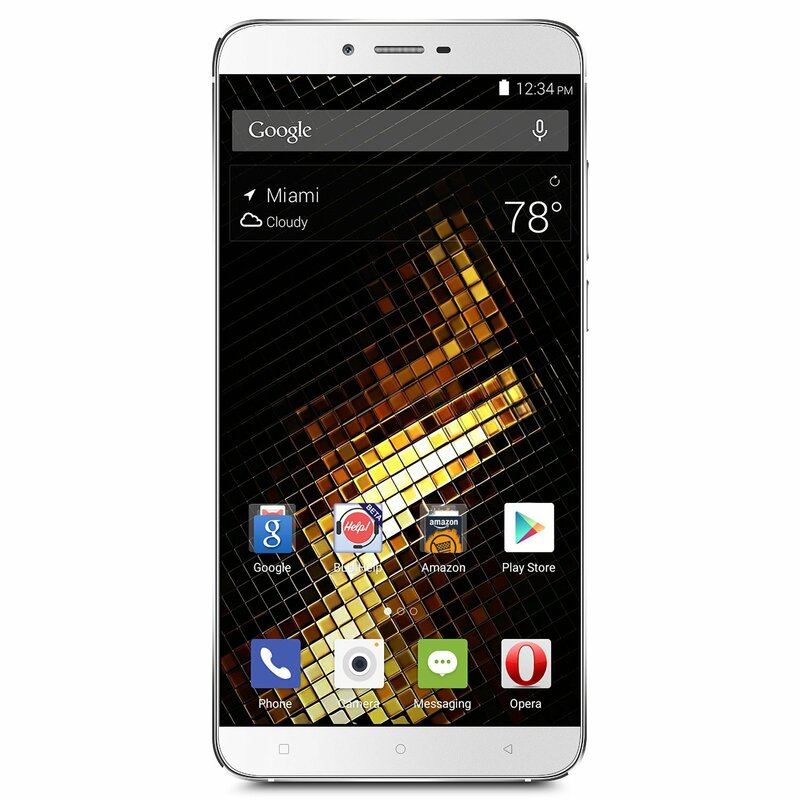 The BLU VIVO 5 Smartphone comes with 3G 850/1700/1900/2100, 4G LTE 2/4/7. Audio Quality: The BLU VIVO 5 is equipped with the latest audio technology available in the market. Get amazing theater-like sound thanks to its DTS surround sound audio technology with equalizer for the best entertainment of music and movies. (iii) the battery has been used in equipment other than the BLU device for which it is specified.